This entry was posted on August 15, 2018 by Don Roberto. Planning an engagement proposal can be scary and overwhelming. Not only are you asking someone to be your lifelong partner, you are also choosing a symbol of commitment. Very often today, there are a lot of questions about whether a bride-to-be should be able to choose her own engagement ring. One great solution is to choose all three rings together. This means choosing the engagement ring, bride and groom’s wedding bands at the same time. 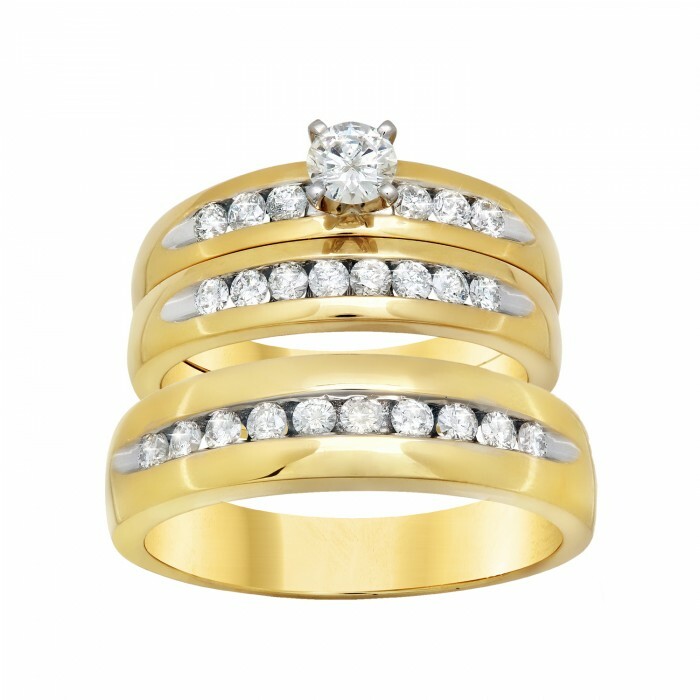 These sets of three rings purchased together are often known as ‘wedding trios’ or ‘wedding ring sets’. Matching your wedding bands with the engagement ring takes the guesswork out of choosing wedding bands later, and also gives the bride-to-be a chance to be involved in the decision. Before the creation of wedding ring sets, someone looking to propose would first buy an engagement ring. Then, after the proposal, the couple would have to browse through countless rings to find suitable wedding bands, which hopefully would match with the original engagement ring. This is why wedding trio ring sets were invented. 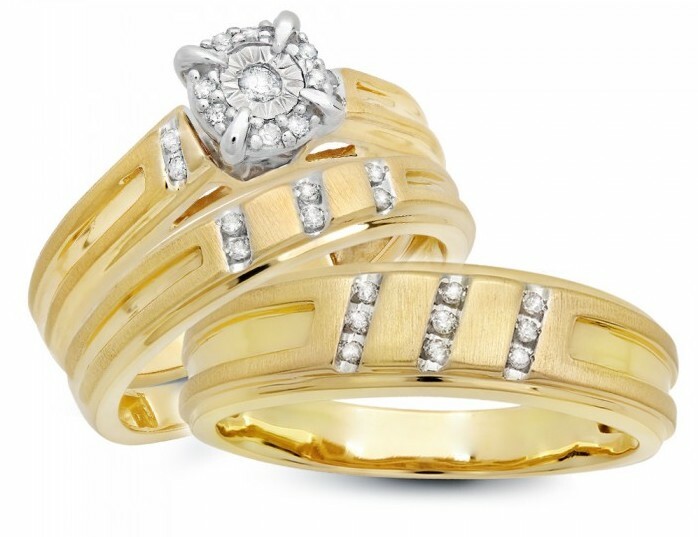 This is when the three wedding rings, which include the original engagement ring, the men’s wedding band, and the women’s wedding band, would be created at the same time, and chosen together. The biggest benefit is that the designs would always match, and would be consistent in terms of diamond cut and quality. 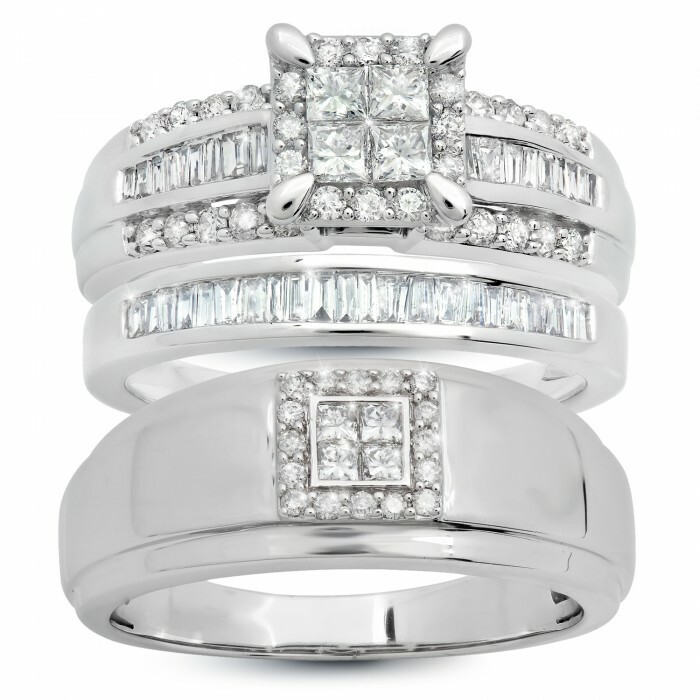 If you would like help in choosing a wedding ring set for your engagement and wedding, then visit our stores, or browse our collection together online. 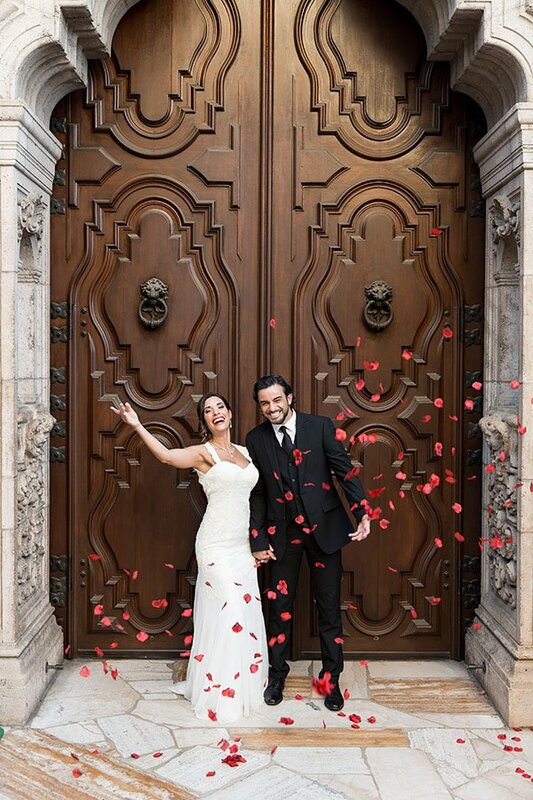 We are always here to help you choose a jewelry piece for a wonderful life together. 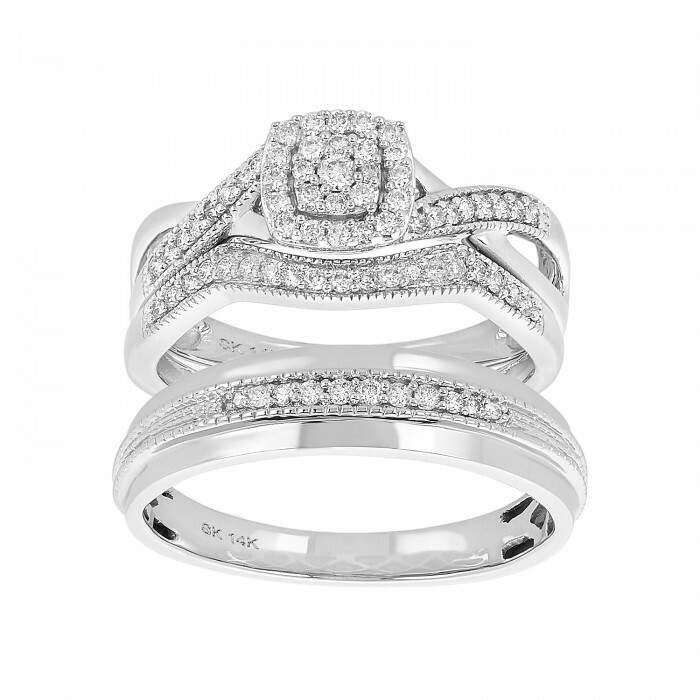 DON ROBERTO JEWELERS HAVE A BEAUTIFUL SELECTION OF ENGAGEMENT RINGS AND WEDDING RING TRIOS. VISIT US AT OUR ONLINE JEWELRY BOUTIQUE OR IN-STORE TODAY TO LET US HELP YOU PICK THE PERFECT RING FOR YOUR LOVED ONE.